The New York Central Railroad began construction on the $2mn Glenwood Power Station in 1901. 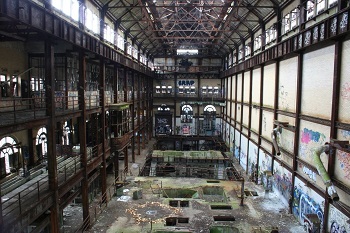 The plant went online in 1906 powering the mainline between New York and Albany and most of the city of Yonkers. 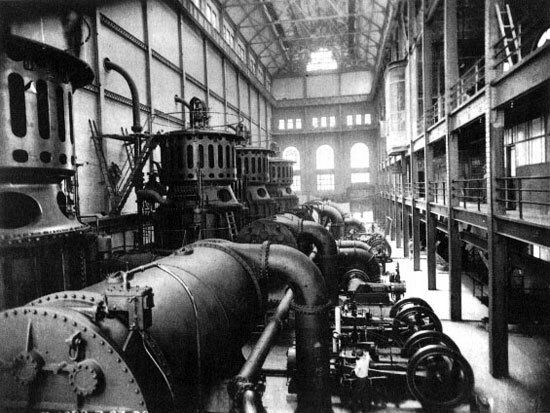 Two coal-fired steam turbines were installed. In 1936, the NYCRR decided to get out of the power generation business and sold to the plant to Consolidated Edison Co of NY for $850,000. The plant ran into the early 1950s but was gradually backed down as newer, larger power stations plants were built and finally Glenwood was shutdown for good after sitting idle for years. 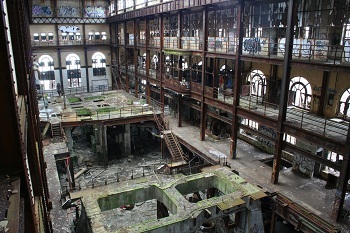 After a failed attempt to sell the structure and the property to the City of Yonkers for a sum of $1, ConEd abandoned it completely, removing its steam turbines and machinery from the pit, and the boilers from their brick stalls. All that was left behind were the hydraulic circuit breakers, stripped switchboards, and 5 or 6 rotary converters, which occupied the 2nd floor of a smaller building, which sat to the north of the main powerhouse. Over the last four decades, the plant became somewhat of an urban legend, the subject of local folklore, and fell victim to more impromptu scavenging and vandalism as the neighborhood around it slowly fell apart. The site is being evaluated for landmark designation and adaptive reuse.